This issue of the Summary features a strategic analysis for Greece, analyzing the sources of the current turnaround in growth and the prospects for increasing the pace of the recovery. A public policy brief in the Distribution of Income and Wealth program updates the Levy Institute Measure of Economic Well-Being (LIMEW) through 2013 to provide a comprehensive assessment of household living standards in the United States, while a research project in the same program applies the Levy Institute Measure of Time and Consumption Poverty (LIMTCP) to Ghana and Tanzania to highlight the role of time constraints in an attempt to meaningfully inform poverty reduction strategies. Working papers included in this issue consider the transition processes in the countries of the former Soviet Union; reflect on Germany’s dominant role in the European Union and its implications for the stability of the eurozone as a whole; explore what the euro’s German roots mean for the future of the European Monetary Union; investigate the drivers of long-term bond yields in Australia; assess the quality of statistical matches and enumerate the data sources for the LIMEW update; and examine employment trends since the Great Recession, with a focus on the narrowing of the employment–population ratio gap between black and white workers. DIMITRI B. PAPADIMITRIOU, MICHALIS NIKIFOROS, and GENNARO ZEZZA, Can Greece Grow Faster? This issue of the Summary features a public policy brief discussing the European Commission’s proposal for regulating sovereign bond-backed securities (SBBS) and presents an alternative approach to addressing the problems that are supposed to be solved by an SBBS scheme. Three policy notes also are included. The first focuses on the nexus between wage employment, consumption poverty, and time deficits, particularly as they affect women’s economic empowerment, while the other two consider the impacts of a federally funded and locally administered Public Service Employment (PSE) program. A research project report provides details on the full scope of the PSE proposal. Working papers included in this issue present a critical discussion of the Sraffian supermultiplier approach to growth and distribution; analyze the macroeconomic implications of corporate debt in Latin America; consider the costs of the failure of state-managed intervention in financial markets and the increase in moral hazard in the period following the fall of the Berlin Wall; investigate the dynamics of bond yields in Japan; employ a historic perspective to evaluate how supposedly stable and efficient markets embark on disequilibrium paths; examine the impetus behind the increase in household debt relative to consumption; evaluate popular New Deal–era programs through the lens of the evolving definition of “liberal democracy”; and suggest a blueprint for implementing a job guarantee program, with an appendix addressing a list of frequently asked questions about the costs and benefits of such a program. This issue of the Summary opens with a policy note regarding the predictions of an impending Chinese “Minsky moment” and the far more likely prospect of another crisis in the United States. It also presents the results of a research project investigating the macroeconomic impact of a one-time cancellation of existing US student loan debt. Working papers included in this issue examine Hyman Minsky’s and Abba Lerner’s writings on the functional finance approach to fiscal policy; the forces underlying the gender pay gap in the countries of the former Soviet Union; and the impact of corporate taxes on capital and labor in a modern, open economy. The issue closes with a look at the newest book in the Levy Institute Book Series, a compilation of essays dedicated to classical political economist, Alessandro Roncaglia. L. RANDALL WRAY, Does the United States Face Another Minsky Moment? This issue of the Summary opens with a public policy brief that suggests looking to the postwar clearing union proposals made by John Maynard Keynes and Richard Kahn for insight into possible reforms of the current eurozone financial system. Two policy notes featured in this issue focus on current policy in the United States: the first addresses the feasibility of the Trump administration’s campaign promises to the middle class; and the second calls for the implementation of a universal single-payer health system. A third policy note argues that the relationship between time poverty and income poverty must be recognized in policy creation if the UN’s Sustainable Development Goals are to be met. Working papers included in this issue: examine the determinants of long-term interest rates for US Treasury securities; build a stock-flow consistent model to assess the relationship between quantitative easing and economic instability; use the Minskyan concept of financial fragility to assess the financial soundness of electricity distribution companies in Brazil; discuss the origins of the “science” of economics from its beginnings in the political economy of Adam Smith; survey Minsky’s contributions to the financialization literature for answers to today’s pressing economic issues; and suggest the application of strategies for containing disease epidemics to reduce the socioeconomic costs of unemployment. This issue of the Summary opens with a Strategic Analysis that uses the Institute’s stock-flow model to assess the effect of the Trump administration’s policy promises on the recovery from the Great Recession. A policy note investigates the trends in income inequality in the United States over the past four decades. Working papers included in this issue examine the literature on stock-flow consistent macroeconomic models; the determinants of government bond yields for the eurozone; the potential job-creation effects of the Trump administration’s proposed infrastructure investment; the role of trust in an issuer’s promise of redemption in the valuation of monetary instruments; Germany’s rejection of Keynesianism as the root of the eurozone’s economic woes; the quality of a synthetic dataset that seeks to provide complete information on household demographics in Turkey; the gender divisions of time use in Turkey and how they change over the life cycle; macroeconomic conditions in the United States during the Great Recession and their effect on time use in households with children; and the impact of public spending on economic development in G-20 countries. MICHALIS NIKIFOROS and GENNARO ZEZZA, The Trump Effect: Is This Time Different? PAVLINA R. TCHERNEVA, Inequality Update: Who Gains When Income Grows? This issue of the Summary opens with a policy brief that examines the move by Brazil’s Temer administration to impose a radical, two-decades-long public spending freeze aimed at boosting business confidence and investment, and explains why this fiscal strategy is flawed. Working papers included in this issue investigate the long-run determinants of government bond yields in India; expansionary austerity theory; the Federal Reserve’s announced policy of “normalization”; money’s role in the modern economy; the effects of the Great Recession on the well-being of different racial groups in the United States; why abstractions are necessary for understanding complex economic and social realities; and the economic impacts of expanding the social care sector in Turkey. The issue closes with a policy brief that argues that the current unemployment rate provides an inaccurate picture of the health of the labor market, and that the common narrative attributing shrinking labor force engagement to aging demographics is overstated. FLAVIA DANTAS and L. RANDALL WRAY, Full Employment: Are We There Yet? This issue of the Summary opens with a strategic analysis for Greece. Using alternative policy scenarios, the authors demonstrate that cleaning up the government’s arrears accounts and boosting public investment would improve GDP growth, but that growth and employment would best be promoted through the implementation of a direct job creation program underwritten by an innovative financing mechanism. Also in this issue: a policy note examines US Current Population Survey data for 2001–13 to identify the impact of state-level immigration rates on the native-born unemployed; a related paper provides a more in-depth look at the data and methodology used in the study. Other papers evaluate the impact of rule-based fiscal controls on public investment at the state level in India; the impact of incorporating gender criteria into the fiscal devolution formula proposed by India’s 14th Finance Commission; alternatives for increasing the effectiveness of banking supervision, including the use of a global cap rule to break up large banks; and the effects of employment gains on household production in Ghana and Tanzania using the Levy Institute Measure of Time and Consumption Poverty. PINAKI CHAKRABORTY, Federalism, Fiscal Space, and Public Investment Spending: Do Fiscal Rules Impose Hard Budget Restraints? ABHISHEK ANAND and LEKHA S. CHAKRABORTY, Engendering Intergovernmental Transfers: Is There a Case for Gender-sensitive Horizontal Fiscal Equalization? This issue opens with a policy note that traces the “narrow path” ahead for Brazil as the country struggles through a joint economic and political crisis that has paralyzed its policymaking apparatus and constrained its fiscal and monetary policy space. Two related papers examine the role played by Greece’s public debt in that country’s economic crisis and the failure of austerity to achieve debt stabilization; and the feasibility of introducing fiscal currencies to restore fiscal space in Greece and other countries in the eurozone periphery. The lessons we could have learned from the 1930s New Deal in dealing with the recent global recession are outlined in a public policy brief. The issue also includes working papers on the origins of financialization; the European Central Bank’s monetary policies from the euro’s inception to the present; an analysis of the ECB’s options for achieving its price stability mandate; the drivers of long-term interest rates in the United States; Japan’s ongoing liquidity trap; the origins and nature of money as a “creature of the state”; and time and income poverty in Buenos Aires, Argentina. JÖRG BIBOW, From Antigrowth Bias to Quantitative Easing: The ECB’s Belated Conversion? This issue includes two strategic analyses: one for the United States and one for Greece. The first reports that the US recovery continues to be hampered by structural weaknesses—rising income inequality, weak demand for US exports, and fiscal conservatism—while external risks include sluggish growth in US trading partners, dollar appreciation, and asset price declines. Turning to Greece, the medium-term outlook under the current policy regime continues to be bleak, and while efforts to spur investment could provide a measure of growth, these will not produce the levels of growth and employment needed to put the country on a sustainable path. The authors argue for a complementary currency (the Geuro) to fund a job creation program while honoring Greece’s commitments. A related policy note investigates Switzerland’s successful use of a complementary currency, emphasizing its countercyclical role in stabilizing the economy and supporting demand. The Summaryalso includes new research on trends associated with economic stagnation and economic inequality in the United States, the current upheaval in the Brazilian economy, and the impacts of austerity on the redistribution of income in Europe. Other publications address the factors driving low central bank interest rates globally, the emergence of financial Dutch disease in Colombia, and arguments supporting functional finance as a pragmatic alternative to mainstream policy prescriptions. Gender equality issues are explored in an analysis of the conditions in Central Asia, the South Caucasus, and the Western CIS, and in a second paper examining methods to measure gender inequality. Prospective changes to the US Census’s collection of information on race, ancestry, and ethnicity are discussed in a policy note. The issue closes with a new paper on the application of graph theory to stock-flow consistent modeling. DIMITRI B. PAPADIMITRIOU, MICHALIS NIKIFOROS, and GENNARO ZEZZA, How Long Before Growth and Employment Are Restored in Greece? The Winter 2016 Summary opens with a policy brief discussing the implications for euro-area member-states’ fiscal rules should the European Central Bank (ECB) advance the project of a single financial market through the creation of debt certificates. A policy note follows with proposals to ensure that the most recent round of recapitalizations of Greek banks does not repeat past mistakes and instead promotes a healthier banking sector in Greece. This issue also contains working papers on topics including financial Dutch disease, the performance of the ECB, full reserve banking, bank leverage ratios, and the management of high public debt levels, as well as analyses of monetary financing of public spending in Canada and the secular stagnation debate. A research project report compares the economic impact of public investment in early childhood care and education programs in Turkey, and a policy note investigates demographic factors accompanying labor force participation trends in the United States. Finally, the issue includes synopses of three new books by Institute scholars. The first is a collection of studies on the impact of financial regulation in the European Union, focusing on eight national economies. The second is an update of a primer on Modern Money Theory, and the second volume provides an accessible and rigorous introduction to the contributions of Distinguished Scholar Hyman P. Minsky. EMILIOS AVGOULEAS and DIMITRI B. PAPADIMITRIOU, What Should Be Done with Greek Banks to Help the Country Return to a Path of Growth? PEDRO LEAO, Is a Very High Public Debt a Problem? This issue includes the two most recent strategic analyses, for Greece and the United States. The Levy Institute Macro Modeling Team argues that Greece cannot return to economic growth under austerity. The strategic analysis of the US economy follows, and shows that economic growth could easily be undermined by such things as a rising dollar, fiscal austerity, and deepening income inequality. A policy note offers arguments for a pragmatic debt reduction and reconstruction plan for Greece following the historical example of the Marshall Plan in Germany. Two policy notes take up the issue of inequality in the United States. The first examines the distribution of income in the postwar period and the second examines trends in real wages by demographic characteristics. Drawing on the work of Distinguished Scholar Wynne Godley, a nonbehavioral theory of savings is proposed to explain recent developments in the US economy and the challenges it faces going forward. A discussion of the lack of capital development in the increasingly financialized economies of the United States and the UK provides prescriptions for sustainable, inclusive growth. Turning to the ongoing crisis in Europe, this issue offers a perspective on Germany’s insistence on austerity as a strategy to advance political integration. A new paper analyzes the impact of a euro exit on trade, growth, employment, and wages in light of the historical experience of currency devaluations. And a Euro Treasury, as a means to repair a basic flaw in the euro and support growth, is proposed. The issue also includes several discussions of clearing unions using local currencies to address deficiencies in the current financial system for emerging economies. Further examining the experience in the emerging BRICs economies, John Maynard Keynes’s observations on the relationship between short- and long-term interest rates is confirmed in an analysis of India’s government bond yields. Wage inequality trends in Bolivia are also analyzed in a working paper. Contributing to our historical understanding of the origins of money, a new paper explores the historical development of class society and money in the ancient societies of Greece and Egypt. The inclusion of unpaid forms of work currently excluded from satellite accounts is reviewed and found to be an obstacle to accurate analysis and sound policy development. The issue concludes with a study that offers both a methodological contribution and substantive guidance for policies and programs aimed at improving the health of children and families. TANWEER AKRAM and ANUPAM DAS, Does Keynesian Theory Explain Indian Government Bond Yields? This issue of the Summary opens with the latest strategic analysis of the Greek economy using the Levy Institute Model for Greece. The authors find that despite some modest improvements in the country’s economy, continued austerity will not lead to growth. They recommend an end to austerity, call for debt relief, and propose direct intervention in the labor market to spur growth. The strategic analysis is followed by a proposal to resolve the euro-area sovereign debt overhang. Two policy briefs take up current issues surrounding the policies of the Federal Reserve, while a working paper reviews lessons learned from the exercise of monetary policy by the Reserve Bank of India. A paper on the impact of the repeal of the Glass-Steagall Act and the Fed’s subsequent extraordinary actions is also included. Several papers examine the nature and role of state investment banks in creating and shaping the economy. A number of authors contribute papers that apply the work of Distinguished Scholar Hyman P. Minsky to such questions as policymaking in emerging economies, endogenous money, prudent banking practices, and the socialization of investment. This issue also includes a discussion of the quality of the statistical match used in the creation of the Levy Institute’s integrated inequality assessment model. And, finally, a paper on the evolution of rising inequality, as measured by the Gini index, in the post–World War II period reveals two distinct patterns in income inequality. DIMITRI B. PAPADIMITRIOU, MICHALIS NIKIFOROS, GENNARO ZEZZA, Is Greece Heading For a Recovery? FELIPE REZENDE, Why Does Brazil’s Banking Sector Need Public Banks? What Should BNDES Do? The Winter 2015 Summary opens with the latest strategic analysis of the Greek economy using the Levy Institute Model for Greece. The authors find that despite some modest improvements in the Greek economy, continued reliance on market forces and the troika’s policy of austerity will not adequately increase output or employment in the medium term. Instead, Greece requires a program of public investment and job creation; the details of such a program are offered in a policy brief. This issue also includes a report calling for the creation of a co-operative banking system to spur rural investment and support urban entrepreneurship in Greece, as well as policy proposals addressing issues that continue to impede the eurozone, including the need for a single financial market, approaches to manage imbalances in the euro area, a proposal for a Euro Treasury, and a road map for a bond backed by the European Central Bank. Turning to Asia, the issue presents new work on Japanese bond yields, Indian macroeconomic policies, the impact of an expanded child-care entitlement in South Korea, and the determinants of Indian interest rates. The demographic relationships underlying social welfare policy preferences in Israel are also explored in a new paper. Theoretical contributions included in this issue address such topics as endogenous money and the natural rate of interest in Post Keynesian economics, distribution-led growth in the long run, and two papers examining issues in the measurement of subjective well-being and the linkages between work and life satisfaction. Finally, a new paper examines the impact of the Great Recession on the time-use patterns of parents in the United States. DIMITRI B. PAPADIMITRIOU, MICHALIS NIKIFOROS, GENNARO ZEZZA, Will Tourism Save Greece? SUNANDA SEN and ZICO DASGUPTA, Economic Policy in India: For Economic Stimulus, or for Austerity and Volatility? EBRU KONGAR and GÜNSELI BERIK, Time Use of Parents in the United States: What Difference Did the Great Recession Make? The latest issue of the Summary opens with a Strategic Analysis of the US economy in which the authors identify an inequality in the distribution of income as an unsustainable process that hampers economic recovery. A related policy note discusses the historical development and lack of progress in wages in the United States, and a working paper takes up the question of unpaid work time in relation to poverty status. The Fall Summary also includes several publications on issues that continue to confront central banks; notably, shadow banking. The nature of money and the evolution of central banks are discussed in several working papers, as is the work of Distinguished Scholar Hyman P. Minsky as a guide to understanding the sources of and responses to financial instability. Several papers discuss findings on time and income poverty in countries such as Turkey and South Korea. This issue closes with a series of papers exploring the theoretical and empirical bases of the labor and profit shares. DIMITRI B. PAPADIMITRIOU, MICHALIS NIKIFOROS, GENNARO ZEZZA, GREG HANNSGEN, Is Rising Inequality a Hindrance to the US Economic Recovery? ALBERTO BOTTA, Structural Asymmetries at the Roots of the Eurozone Crisis: What’s New for Industrial Policy in the EU? AJIT ZACHARIAS, THOMAS MASTERSON, and EMEL MEMIŞ, How Poor Is Turkey? And What Can Be Done About It? FERNANDO RIOS-AVILA and JULIE L. HOTCHKISS, A Decade of Flat Wages? TAMAR KHITARISHVILI and KIJONG KIM, The Great Recession and Unpaid Work Time in the United States: Does Poverty Matter? The Spring 2014 Summary begins with a strategic analysis of the Greek economy using the Levy Institute Model for Greece. The authors analyze several policy scenarios and propose a parallel financial system to support expansionary fiscal policy and a job guarantee program, with Greece remaining in the euro. Related policy notes offer an innovative proposal for a tax-backed bond for Europe, as well as a critical assessment of the “success” of austerity policy in Greece. This issue also contains a policy brief that explores the emergence of vulgarized “stimulus” policies too often confused with Keynesian policy, policy notes assessing relevant lessons from past debt ceiling debates and the social enterprise approach to a US job guarantee, and working papers that examine China’s fiscal and monetary policy options, Modern Money Theory, Federal Reserve governance, time use and gender budgeting, employment effects of North-South trade, Keynes’s full employment proposal, computational challenges in estimating models with more than one fixed effect, productivity effects and profitability impacts of unions in Latin America, and, finally, an analysis of the rational expectations hypothesis in light of Karl Popper’s contribution. This issue of the Summary begins with a new Strategic Analysis for Greece, as well as several publications that address the impacts of austerity in the eurozone and Germany’s complicated role in the creation and ongoing consequences of the euro crisis. Other publications address the global financial crisis, including issues of financial regulatory reform and the lessons to be drawn from the Cypriot deposit tax proposal. Turning to the United States, the issue includes a critical analysis of employment trends as well as papers on the source of US inflation moderation, the current unprecedented level of excess reserves, and the actions taken by the Federal Reserve during and following the crisis. Research on the opportunities for more effective social protection policies and analyses of the gender wage gap and the added worker effect in Georgia are also presented. The Summary concludes with an analysis of the factors driving housing markets and a discussion of the nature and role of shocks in heterodox models. RANIA ANTONOPOULOS, From Safety Nets to Economic Empowerment: Is There Space to Promote Gender Equality in the Evolution of Social Protection? This issue of the Summary features the Macro Modeling Team’s latest Strategic Analysis and a collection of Hyman P. Minsky’s writings on poverty and employment titled Ending Poverty: Jobs, Not Welfare. Also included are publications focused on the Fed’s history, governance, and policies; the social and economic consequences of the ongoing crisis in Greece; the challenges and policy choices faced by the eurozone; a demonstration of the emergence of secondary markets from the flow part of the economy using only structural axioms; gender differences in the long-term benefits of worker migration; the impacts of financialization and uncertainty on the accumulation process; the link between endogenous bank credit and the housing market; a review of the stock-flow consistent modeling literature; analyses of factors affecting US economic growth and business-cycle patterns in Latin America and the Caribbean; a Kaleckian perspective on income redistribution; a discussion of the trends in income inequality and household finance in the United States; and a critical exploration of the opportunities to promote gender equality through social protection initiatives in developing countries. DIMITRI B. PAPADIMITRIOU, GREG HANNSGEN, and MICHALIS NIKIFOROS, Is the Link between Output and Jobs Broken? SANJAYA DESILVA, Long-Term Benefits from Temporary Migration: Does the Gender of the Migrant Matter? The Summary updates current Levy Institute research, with synopses of new publications, accounts of professional presentations by the research staff, and an overview of Levy Institute events. This issue contains the proceedings of the Hyman P. Minsky Conference on Financial Instability: Debt, Deficits, and Unstable Markets, as well as an analysis of the “fiscal cliff” debate, proposals to address the ongoing eurozone crisis, an examination of the current conditions and prospects for the Greek economy, findings from the application of the Levy Institute Measure of Time and Income Poverty, a proposal for a new meme for money, a review of the implications of Dodd-Frank for the Fed, contributions to the capacity utilization literature, and a discussion of employer-of-last-resort programs as institutions for change. The Levy Economics Institute is pleased to announce the release of the Fall 2012 Summary. Available in both printed and electronic form, the Summary updates current Levy Institute research, with synopses of new publications, accounts of professional presentations by the research staff, and an overview of Levy Institute events. In this issue, papers survey the prospects for the US economy, examine the direction of US fiscal policy, analyze the ongoing crisis in the eurozone, discuss the effects of austerity measures in Greece, propose an alternative explanation of the LIBOR scandal, offer more effective measures of poverty, review developments in regulatory reform of the financial sector, present an alternative history of money, outline new issues in gender equality, and contribute to ongoing debates in areas ranging from financial instability to aggregate production functions. DIMITRI B. PAPADIMITRIOU, GREG HANNSGEN, and GENNARO ZEZZA, Back to Business as Usual? Or a Fiscal Boost? JAN KREGEL, The LIBOR Scandal: The Fix Is In—the Bank of England Did It! JESUS FELIPE, ARNELYN ABDON, and UTSAV KUMAR, Tracking the Middle-income Trap: What Is It, Who Is in It, and Why? The Summary updates current Levy Institute research, with synopses of new publications, accounts of professional presentations by the research staff, and an overview of Levy Institute events. In this issue, papers survey the prospects of a new global financial crisis, propose a new institutional architecture and other solutions to the global debt crisis, quantify the Federal Reserve measures to stabilize the US economy, compare inequality and living standards in Canada and the United States, outline labor-demand policies that connect fiscal policy with full employment, and suggest a return to classical economic policies, including debt write-downs. L. RANDALL WRAY, Is There Room for Bulls, Bears, and States in the Circuit? The Summary updates current Levy Institute research, with synopses of new publications, accounts of professional presentations by the research staff, and an overview of Levy Institute events. In this issue, papers include a new Strategic Analysis that justifies fears of prolonged stagnation and flat employment, proposals to resolve problems in the eurozone, recommendations for avoiding another global financial crisis, the Levy Institute Measure of Time and Income Poverty, gender inequalities in work time, and the economic impact of legalizing undocumented immigrants in the United States. DIMITRI B. PAPADIMITRIOU, GREG HANNSGEN, and GENNARO ZEZZA, Is the Recovery Sustainable? JAN KREGEL, Debtors’ Crisis or Creditors’ Crisis? Who Pays for the European Sovereign and Subprime Mortgage Losses? In this issue, papers focus on the prospects for US economic growth, including jobs programs and other public-sector initiatives; the euro and sovereign-debt crises in the eurozone, as well as global economic tensions between emerging market and industrialized economies; the nature of global finance and its role in real world economies; the impact of government fiscal policy on economic recovery; estimating the Levy Institute Measure of Economic Well-Being for Great Britain, France, and Canada; and the potential role of social care delivery in generating economy-wide employment outcomes. JAMES K. GALBRAITH, Is the Federal Debt Unsustainable? MICHAEL HUDSON, What Does Norway Get Out Of Its Oil Fund, if Not More Strategic Infrastructure Investment? JAN KREGEL, Was Keynes’s Monetary Policy, à Outrance in the Treatise, a Forerunner of ZIRP and QE? Did He Change His Mind in the General Theory? PEDRO LEAO and ALFONSO PALACIO-VERA, Can Portugal Escape Stagnation without Opting Out from the Eurozone? CHRISTINE SINAPI, Institutional Prerequisites of Financial Fragility within Minsky’s Financial Instability Hypothesis: A Proposal in Terms of "Institutional Fragility"
ARNELYN ABDON and JESUS FELIPE, The Product Space: What Does It Say About the Opportunities for Growth and Structural Transformation of Sub-Saharan Africa? In this issue of the Summary, papers focus on international trade and the export baskets of China and India, the competitiveness of the eurozone, the roles of the Federal Reserve and Treasury, a reorientation of fiscal policy, a restructuring of the global financial system, the merits of capital controls, financial fragility, a theory of money, and US immigration. MARSHALL AUERBACK, What Happens if Germany Exits the Euro? PAVLINA R. TCHERNEVA, Bernanke’s Paradox: Can He Reconcile His Position on theFederal Budget with His Recent Charge to Prevent Deflation? TIMOTHY AZARCHS and TAMAR KHITARISHVILI, Disaggregating the Resource Curse: Is theCurse More Difficult to Dispel in Oil States than in Mineral States? JESUS FELIPE, UTSAV KUMAR and ARNELYN ABDON, How Rich Countries Became Richand Why Poor Countries Remain Poor: It’s the Economic Structure . . . Duh! New policy briefs by Senior Scholars Jan Kregel and L. Randall Wray are featured in the Summary’s Winter issue. Kregel finds that export-led growth and free capital flows are the real causes of sustained international imbalances. The only way out of this predicament is to shift to domestic demand–led development strategies—and capital flows will have to be part of the solution. Wray examines Hyman Minsky’s later works, with a focus on Minsky’s general approach to banking and the proper role of the financial system. Minsky recognized the development of money manager capitalism as leading to a convergence of banking models—an insight that helps to explain the current economic crisis. MARSHALL AUERBACK, A New “Teachable” Moment? L. RANDALL WRAY, What Do Banks Do? What Should Banks Do? SUNANDA SEN, The Meltdown of the Global Economy: A Keynes-Minsky Episode? The Fall Summary provides an overview of the annual Minsky Conference, which was held in April in New York City with support from the Ford Foundation. Titled “After the Crisis: Planning a New Financial Structure,” the conference focused on many Minskyan themes, including the reconstitution of the financial structure, the reregulation and supervision of financial institutions, the moral hazard of the “too big to fail” doctrine, and the economics of the “big bank” and “big government.” In addition, participants considered central bank exit strategies. A related policy note asserts that the late Wynne Godley’s financial balances approach should be the workhorse of discussions on global rebalancing. JÖRG BIBOW, Bretton Woods 2 Is Dead, Long Live Bretton Woods 3? LUIZ CARLOS BRESSER-PEREIRA, The Global Financial Crisis and a New Capitalism? JAN KREGEL, Fiscal Responsibility: What Exactly Does It Mean? This issue leads off with an updated Strategic Analysis that confirms the necessity of strong policy action to achieve full employment in the medium term, including a persistently high government deficit in the short term. This implies a growing public debt, which is sustainable as long as interest rates are kept at the current low level. The alternative is an ongoing unemployment rate above 10 percent that would represent a higher cost to future generations. GENNARO ZEZZA, Getting Out of the Recession? JÖRG BIBOW, The Global Crisis and the Future of the Dollar: Toward Bretton Woods III? JAN KREGEL, Is Reregulation of the Financial System an Oxymoron? JAN KREGEL, Is This the Minsky Moment for Reform of Financial Regulation? In a new Strategic Analysis, the Institute’s Macro-Modeling Team determines that real GDP growth will remain well below the rate required to push unemployment back to a more acceptable level, but that a modest dollar devaluation could be very effective in promoting employment while addressing the threat posed by large imbalances. A related public policy brief, policy note, and working paper show that the success of New Deal programs strengthens the case for fiscal policies and a permanent employer-of-last-resort program as proposed by Hyman Minsky. DIMITRI B. PAPADIMITRIOU and GREG HANNSGEN, The New New Deal Fracas: Did Roosevelt’s “Anticompetitive” Legislation Slow the Recovery from the Great Depression? GREG HANNSGEN and DIMITRI B. PAPADIMITRIOU, Fiscal Stimulus, Job Creation, and the Economy: What Are the Lessons of the New Deal? GREG HANNSGEN and DIMITRI B. PAPADIMITRIOU, Lessons from the New Deal: Did the New Deal Prolong or Worsen the Great Depression? JAN KREGEL, The Global Crisis and the Implications for Developing Countries and the BRICs: Is the B Really Justified? STEPHANIE A. KELTON and L. RANDALL WRAY, Can Euroland Survive? THOMAS MASTERSON, AJIT ZACHARIAS, and EDWARD N. WOLFF, Has Progress Been Made in Alleviating Racial Economic Inequality? HUGO BENÍTEZ-SILVA, SELCUK EREN, FRANK HEILAND, and SERGI JIMÉNEZ-MARTÍN, How Well Do Individuals Predict the Selling Prices of Their Homes? The Fall Summary leads off with an overview of the Institute’s annual Minsky conference, which this year focused on the extraordinary challenges posed by the global financial crisis. Also in this issue: a new Strategic Analysis outlines how increased deficits and their impact on private sector balance sheets will help stabilize the domestic economy. PHILIP ARESTIS and ELIAS KARAKITSOS, What Role for Central Banks in View of the Current Crisis? JAN KREGEL, Background Considerations to a Regulation of the US Financial System: Third Time a Charm? Or Strike Three? AJIT ZACHARIAS, THOMAS MASTERSON, and KIJONG KIM, Who Gains from President Obama’s Stimulus Package … And How Much? This issue of the Summary begins with a Strategic Analysis by the Levy Institute’s Macro-Modeling Team, along with a review of the latest Federal Reserve flow-of-funds data. The authors foresee a steep rise in the private sector balance and an abrupt fall in GDP in the United States, with employment rising to 10 percent in 2010; moreover, they say, the unprecedented drop in interest rates may not be effective in reactivating standard lending practices. What’s needed in order to achieve balanced growth and full employment? A drastic change in the institutions responsible for running the world economy—one that would involve placing far less than total reliance on market forces. THOMAS MASTERSON, EDWARD N. WOLFF, and AJIT ZACHARIAS, What Are the Long-Term Trends in Intergroup Economic Disparities? JÖRG BIBOW, Insuring Against Private Capital Flows: Is It Worth the Premium? What Are the Alternatives? Recent attempts by the Treasury and the Federal Reserve to counter the worst financial and economic crisis since the Great Depression have brought into question the role of the government and the effectiveness of its rescue package. Levy Institute scholars foresee an extended period of stagnation and possibly deflation if the government does not take a more active part in terms of fiscal policy, direct homeowner relief, and regulatory system reform. JAN KREGEL, Will the Paulson Bailout Produce the Basis for Another Minsky Moment? ÉRIC TYMOIGNE, Minsky and Economic Policy: “Keynesianism” All Over Again? PAVLINA R. TCHERNEVA, Keynes’s Approach to Full Employment: Aggregate or Targeted Demand? GREG HANNSGEN, Do the Innovations in a Monetary VAR Have Finite Variances? This latest issue of the Summary includes an overview of the Institute's annual Minsky conference, which focused on the current economic crisis in the United States, its effects on the world economy, and possible solutions. Also featured is a new Strategic Analysis that challenges the notion that a stimulus package larger than the one approved by Congress last winter is unnecessary and potentially inflationary. THE 17TH ANNUAL HYMAN P. MINSKY CONFERENCE: Credit, Markets, and the Real Economy: Is the Financial System Working? DIMITRI B. PAPADIMITRIOU, GREG HANNSGEN, and GENNARO ZEZZA, Fiscal Stimulus: Is More Needed? L. RANDALL WRAY, Financial Markets Meltdown: What Can We Learn from Minsky? J�RG BIBOW, The International Monetary (Non-)Order and the "Global Capital Flows Paradox"
PAVLINA R. TCHERNEVA, The Return of Fiscal Policy: Can the New Developments in the New Economic Consensus Be Reconciled with the Post Keynesian View? This issue highlights a series of working papers under the Monetary Policy and Financial Structure program that analyze the current instability within the financial industry in the United States. In each case, the author calls for policy and political reform in order to prevent "it" (the Great Depression) from happening again. In their latest Strategic Analysis, Distinguished Scholar Wynne Godley, Research Scholars Greg Hannsgen and Gennaro Zezza, and President Dimitri B. Papadimitriou forecast a significant drop in borrowing and private expenditure in the coming quarters, with severe consequences for growth and unemployment—unless the dollar continues to fall and fiscal policy shifts its course. WYNNE GODLEY, DIMITRI B. PAPADIMITRIOU, GREG HANNSGEN, and GENNARO ZEZZA, The US Economy: Is There a Way Out of the Woods? PAVLINA R. TCHERNEVA, What Are the Relative Macroeconomic Merits and Environmental Impacts of Direct Job Creation and Basic Income Guarantees? The Fall issue leads off with the 16th Annual Hyman P. Minsky Conference, in which top policymakers, economists, and analysts explored the impact of global imbalances and whether or not the United States economy was headed for a hard or a soft landing. WYNNE GODLEY, DIMITRI B. PAPADIMITRIOU, and GENNARO ZEZZA, The US Economy: What’s Next? In this issue: a new Policy Note recommends reforming the Alternative Minimum Tax while retaining some tax cuts in order to reduce the growing tax burden on middle-class families. A related paper criticizes orthodox policymaking that calls for fiscally austere budgets when the real engine of economic growth is government spending. THOMAS I. PALLEY, The Economics of Outsourcing: How Should Policy Respond? EDWARD N. WOLFF and AJIT ZACHARIAS, Wealth and Economic Inequality: Who’s at the Top of the Economic Ladder? The Winter Summary provides an overview of the Institute's October conference on employment guarantee policies, which focused on government policy initiatives that can create a safety net through public service employment for individuals who are ready, willing, and able to work. Also in this issue: a new Strategic Analysis and Public Policy Brief address the consequences of the current imbalances in the American economy. GIUSEPPE FONTANA, The “New Consensus” View of Monetary Policy: A New Wicksellian Connection? In a new Strategic Analysis summarized in this issue, President Dimitri B. Papadimitriou and Research Scholars Edward Chilcote and Gennaro Zezza observe that the economy continues to grow on an unbalanced path, and that there is an increase in the default risk for the private and financial sectors. CLAUDIO SARDONI, Why Central Banks (and Money) "Rule the Roost"
L. RANDALL WRAY, The Burden of Aging: Much Ado About Nothing, or Little to Do About Something? The latest Strategic Analysis by the Institute's Macro-Modeling Team suggests that much of the recent growth in GDP can be attributed to house price appreciation and private sector borrowing. However, rising house prices have not improved the equity position of households. DIMITRI B. PAPADIMITRIOU, EDWARD CHILCOTE, and GENNARO ZEZZA, Are Housing Prices, Household Debt, and Growth Sustainable? GIUSEPPE FONTANA and ALFONSO PALACIO-VERA, Are Long-run Price Stability and Short-run Output Stabilization All That Monetary Policy Can Aim For? In most developing countries, efforts to reduce poverty and reach the Millennium Development Goals provide a timely opportunity to draw attention to the contribution of unpaid work to economic and social development. Summarized in this issue, an October 2005 conference organized by the Levy Institute in partnership with the United Nations Development Programme focused on women's unpaid work in the context of achieving the MDGs, and the need for viable pro-poor policy alternatives. WYNNE GODLEY, DIMITRI B. PAPADIMITRIOU, CLAUDIO H. DOS SANTOS, and GENNARO ZEZZA, The United States and Her Creditors: Can theSymbiosis Last? L. RANDALL WRAY, The Ownership Society: Social Security is Only the Beginning . . . In a new Policy Note, Distinguished Scholar Wynne Godley observes that the state of aggregate demand in the United States is precariously based, as private debt and borrowing cannot continue to provide the motor for expansion for more than a couple of years, particularly if interest rates continue to rise. The risk is a return to recession, Godley says, and there is no remedy this time in the shape of a fiscal expansion. EDWARD N. WOLFF, Is the Equalizing Effect of Retirement Wealth Wearing Off? KORKUT A. ERTÜRK, Is the Dollar at Risk? JÖRG BIBOW, Refocusing the ECB on Output Stabilization and Growth through Inflation Targeting? JÖRG BIBOW, Liquidity Preference Theory Revisited: To Ditch or to Build On It? Levy Institute Awarded Grant from Smith Richardson Foundation, Inc. This issue begins with a sensitivity analysis of public consumption—a major component of the Levy Institute Measure of Economic Well-Being—in relation to economic well-being in the United States. One of the notable observations contained in our report is that the distribution of public consumption is pro-rich. A conference on the distributional effects of government spending and taxation was held at the Levy Institute's conference center in fall 2004 and is summarized under The Distribution of Income and Wealth program. The presentations outlined how governments play a large role in affecting inequality, since countries spend at least a quarter of GDP on social welfare and most governments tax one group in order to transfer benefits to another. J�RG BIBOW, Assessing the ECB’s Performance since the Global Slowdown: A Structural Policy Bias Coming Home to Roost? Conference: "Time Use and Economic Well-Being"
In this issue: an overview of the 14th Annual Hyman P. Minsky Conference on Financial Structure. A common observation among participants was the atypical business cycle pattern associated with the 2001 recession: strong GDP growth and very little job growth. The sharp reversal from surplus to deficit of the federal budget has prevented a deep recession, but long-term strategic economic difficulties remain. A new Strategic Analysis suggests that the government continue its substantial fiscal stimulus while enhancing the country’s international competitiveness, so as to stimulate export growth and use the domestic jobs thereby created to fill in the remaining employment gaps. The Winter Summary highlights the recent Levy Institute conference "International Perspectives on Household Wealth," which focused on the dynamics of the distribution of wealth across population subgroups, income levels, and regions. A common finding was the rapid growth in wealth, but increasing inequality, during the 1990s as a result of the euphoria in the financial markets. A new Policy Note summarized under the Financial Markets and Monetary Policy program outlines Germany's poor economic record since unification. Author J�rg Bibow warns that the "German disease" (protracted policy-inflicted domestic demand stagnation) and the threat of a deflationary spiral are spreading throughout the Economic and Monetary Union (EMU). In a new Strategic Analysis, Distinguished Scholar Wynne Godley argues that personal debt levels in the United States cannot continue and that the country's balance of payments deficit has largely been ignored by both the government and the public. Godley foresees an era of growth recession characterized by rising unemployment—and the risk of financial implosion. Information on the upcoming "International Perspectives on Household Wealth," a conference of The Levy Economics Institute of Bard College · The most recent Strategic Analysis ("The US Economy: A Changing Strategic Predicament," Wynne Godley) · Conference summary: "13th Annual Hyman P. Minsky Conference on the State of the US and World Economies." Working paper topics include The Levy Institute Measure of Economic Well-Being; Does Trade Promote Gender Wage Equity? ; USWorkers' Investment Decisions for Participant-Directed Defined Contribution Pension Assets; Mexicans Now, Italians Then: Intermarriage Patterns; The Nature and Role of Monetary Policy When Money Is Endogenous · Policy Note topics include Caring for a Large Geriatric Generation: The Coming Crisis in USHealth Care; Reforming the Euro's Institutional Framework. The latest Strategic Analysis by the Institute's Macro-Modeling Team shows that the growth rate of private sector debt is unsustainable. The domestic economy is headed for a period of growth recession that can be offset only by a fiscal stimulus from the government sector, the authors say, and by increasing net export demand. In this issue: Senior Scholar James K. Galbraith, in a new Policy Note, argues that conditions attached to an International Monetary Fund loan to Brazil are a form of blackmail that will deflate the Brazilian economy and lead to further loans until the private foreign sector is safely divested of its Brazilian holdings. New Working Papers summarized in this issue include an examination of racial and ethnic differentiation in gender inequality, a proposal for a poverty measure that considers household wealth together with income, and a study of the probable impact of the United Kingdom’s adoption of the euro. An analysis of "narrow" banking by the IMF's Biagio Bossone concludes that it deprives the economy of key functions and diminishes the benefits of conventional banking. This double issue begins with an account of an international symposium on gender-aware macroeconomics, held at the Levy Institute in May, and includes an overview of the Institute's 12th Annual Hyman P. Minsky Conference on Financial Markets. This Summary begins with Senior Scholar James K. Galbraith's analysis of a very topical issue—the war economy. In a new Strategic Analysis, Distinguished Scholar Wynne Godley and Research Scholar Alex Izurieta provide an explanation for the recent economic slowdown in the United States, examine policy options, and discuss alternative scenarios for medium-term economic performance. In a related Policy Note, Phillips & Drew economist Bill Martin forecasts a post-bubble trauma for the United States that will have global consequences. Summaries of the speeches and sessions at the 11th Annual Hyman P. Minsky Conference on Financial Structure include the remarks of Thomas Hoenig, president of the Federal Reserve Bank in Kansas City, who discussed the broad policy lessons that can be learned from the recent proliferation of financial crises in developed nations and their implications for the Fed's role in crisis management. Contents: Conference Summaries: Quality of Life Indicators; Education Reform outside the School; 11th Annual Minsky Conference · Policy Notes: Put Your Chips on 35 (James K. Galbraith) and Financing Health Care (Walter M. Cadette) · Working Papers include "Euro Instability," "Making EMU Work," and "Will the Euro Bring Economic Crisis to Europe?" A special feature by Senior Scholar Edward N. Wolff focuses on the inequality in the distribution of income and wealth—and what can be done about it. 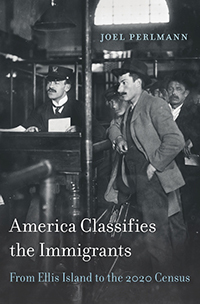 A special project report by Senior Scholar Joel Perlmann outlines research he has been conducting on immigration, ethnic assimilation, and social mobility in America. Summaries of the sessions held at a related conference on multiraciality also appear in this issue. New Policy Notes summarized in this issue argue that the interest policy pursued by the Federal Reserve is theoretically and empirically unjustifiable (L. Randall Wray, "Why Does the Fed Want Slower Growth? "), and that the current expansion in the United States is in serious danger without appropriate changes in fiscal and exchange rate policies (Wynne Godley, "Drowning in Debt"). Summaries of the sessions held at the 10th Annual Hyman P. Minsky Conference on Financial Structure examine the problems and prospects of the liberalization of financial markets. The Spring Summary leads off with Senior Scholar Edward N. Wolff's report on his new research project: an in-depth empirical examination of the long-term effects of technological change on earnings, inequality, and employment in the United States. Contents: New Research Project: Long-Term Effects of Technological Change on Earnings, Inequality, and Labor Demand · Notes on the US Trade and Balance of Payments Deficits · On Krugman and the Liquidity Trap · Is There a Skills Crisis? · A New Approach to Tax-Exempt Bonds · Explaining the US Trade Deficit · The Brazilian Crisis · The Social Wage, Welfare Policy, and the Phases of Capital Accumulation · What's Behind the Recent Rise in Profitability? A special feature by Distinguished Scholar Wynne Godley focuses on the relationship between inventory investment and the American business cycle. Also in this issue: a new working paper by Federal Reserve Board Governor Laurence Meyer provides a central banker's perspective on the Asian crisis. This double issue of the Summary features the Ninth Annual Hyman P. Minsky Conference on Financial Structure, which underscored the renewed general interest in Minsky's work as it applies to the global financial system. In a new Policy Note summarized in this issue, Senior Scholar L. Randall Wray describes three threats to the current "Goldilocks" economy: global financial crisis, global deflation and excess demand, and a domestic surplus coupled with record private deficits. New Working Papers summarized in this issue cover a broad range of topics, including the effects of the Clinton expansion on employment opportunities, the development of modern money from a Chartalist perspective, the federal budget surplus in the context of the coming economic slowdown, concepts of time in economic theory, and the effect of the Asian crisis on Indian economic growth. In this issue, a new Working Paper by Research Associates William J. Baumol and Edward N. Wolff finds a relationship between accelerating technological change and increased duration of unemployment. The fragility of the international financial system continues as a topic of discussion in worldwide policy circles. Alice Rivlin, Martin Mayer, Jan Kregel, and others discuss the causes of and recovery from the Asian crisis in remarks at a Levy Institute conference and in working papers. Of special interest in this issue is a summation of a congressional policy briefing by Wynne Godley and Jan Kregel. Also of note are summaries of working papers on an assessment of the contributions of Hyman Minsky to economic theory, the relevance of Kaleckian analysis to today's capitalist economies, and policy formulation as a discovery process. Scholars take different approaches to the questions of the possibility and desirability of attaining full employment. Barry Bluestone and Stephen Rose explore the effects of labor market slack on the inflation-unemployment trade-off, Malcom Sawyer and Philip Arestis advocate a return to Keynesian policies to secure full employment, and Beth Almeida looks to corporate strategies to explain the loss of good jobs that threatens sustainable prosperity in the United States. Scholars have begun to find explanations for the growing earnings inequality in the United States—not in inexorable market forces, foreign competition, or technological change in itself, but in corporate choices regarding pay, skill, and the adoption of new technology. This issue of the Summary reports on the work of several scholars in this area: William Lazonick compares the distribution of organizational learning in the American and Japanese auto industries, Robert Forrant studies the decline of the machine tool industry in the United States, and Philip Moss proposes case studies of firms' strategies as more productive than econometric analysis. Among the activities summarized in this issue are a series of three papers in which Visiting Scholar David A. Aschauer estimates static and dynamic effects of public capital investment on output and employment growth. At an ASSA session, "The Contributions of Hyman Minsky," scholars from the Levy Institute and elsewhere presented seven papers on the development and lasting influence of the distinguished scholar's work. Portions of the papers are synopsized in this issue. Featured in this double issue are reports on a workshop on the future of the welfare state, papers on assimilation of past and present immigrants and on selective migration among immigrants around 1900 by Joel Perlmann, and papers on alternative definitions of the United States' fiscal deficit by Neil H. Buchanan. In this issue: a series of working papers growing out of the symposium "Global Capital Flows in Economic Development," sponsored by the Levy Institute and UNCTAD; a summary of the annual conference on employment; and a summary of the sixth annual conference on reconstituting the financial structure. New Working Papers in the research program on employment and labor market structure address nonparticipation in welfare programs by the working poor, trends in workplace skill requirements, and a structural approach to wage determination. A series of papers focusing on federal buget policy includes an analysis of biennial budgeting.